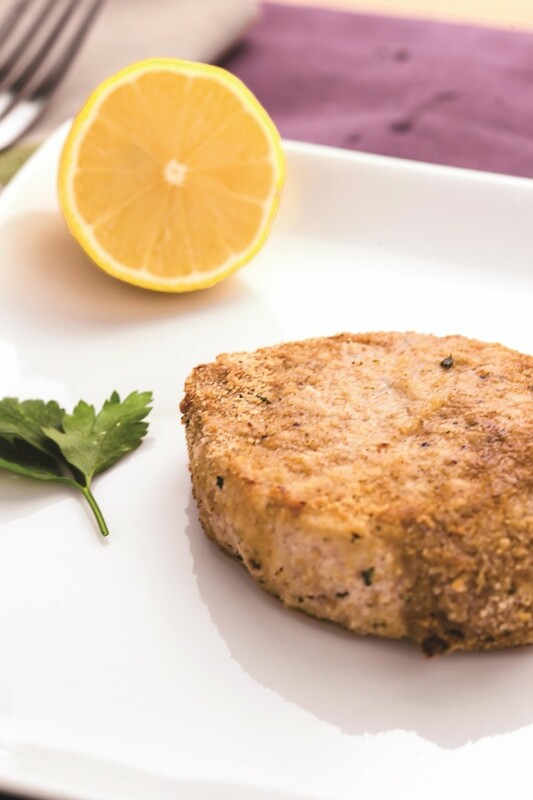 Pork is a great alternative to chicken–it’s lean and can be prepared in many different ways. This simple recipe is from my bestselling cookbook The Shredded Chef is one of my favorites–it requires basically no prep and because it’s baked, it has that wonderful moistness and crunchy exterior. It goes great with a side like this baked potato. 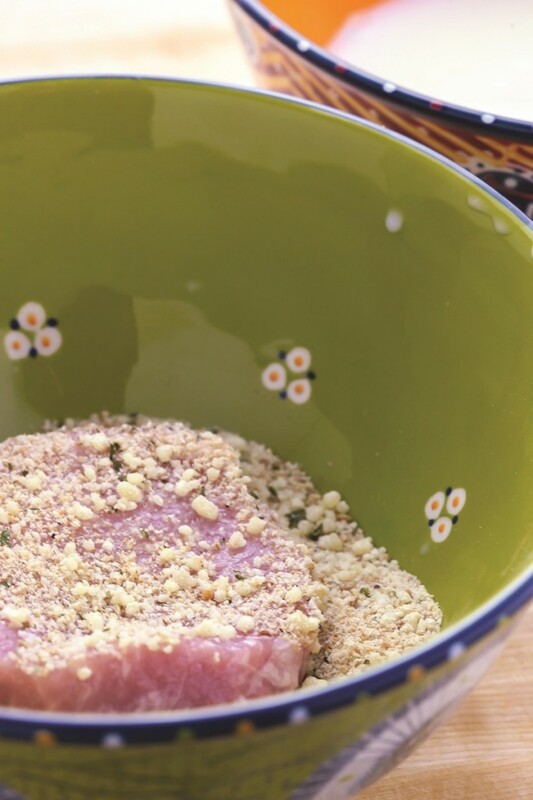 Set up the milk in one bowl and the cheese, bread crumbs, salt, pepper, and garlic powder in another. 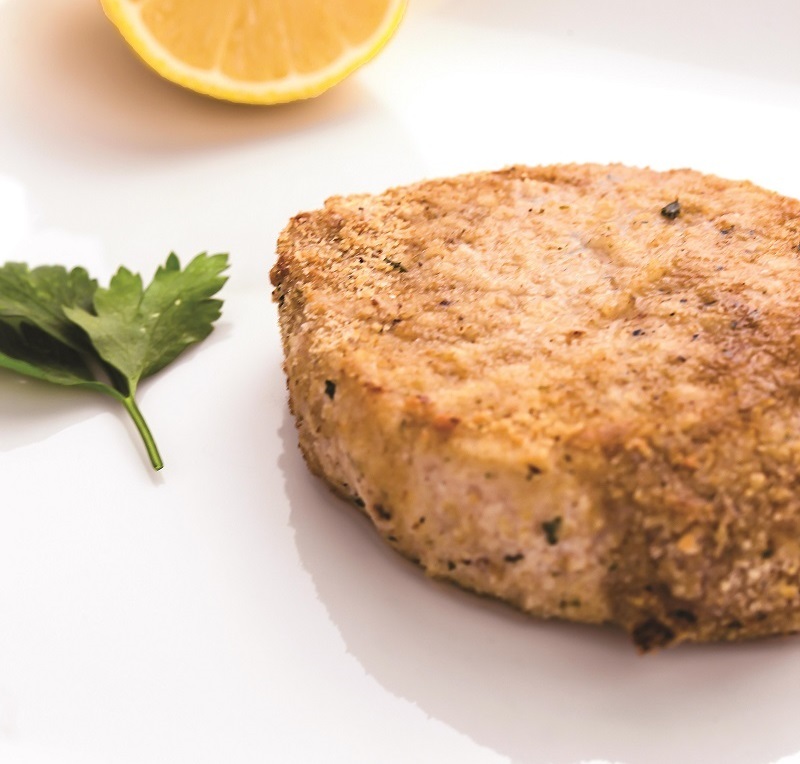 Dunk the pork chops in the milk, then coat in the bread crumb mixture.